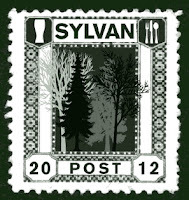 Forest Hill Society members, and everybody else, are invited to the opening of the Sylvan Post. We are thrilled to announce that Antic Pubs will be throwing open the doors of The Sylvan Post on the 28th February at 6 pm, in the Old Post Office building on Dartmouth Road. Lovingly restored with many of the original features preserved and complimented by Antic’s inimitable approach to interiors, we are sure you will be pleased with the changes we have made. In a nutshell, we are really excited to be bringing our unique approach to Forest Hill. With a hand picked selection of Ales, Premium Lagers and Wines, we will be offering our guests the chance to sample our wares, meet the team and in return you can let us know what you would like to see happening at the pub, be it Business Jelly’s, Games Nights, Music or Book Readings, we are open to all suggestions. We’re confident that the Sylvan Post will become a central feature of the local area and we’re very keen to meet with local community groups to extend our welcome and make sure we’re giving locals exactly what they want from their local! Had a peak the other day. Love the post office signage. It looks like they had to take the original postal counter out, or at least move it. I'll reserve opinion until I see it tonight, but it would have been nice to keep that as the actual bar. Anyway, see you there! Had a peek yesterday and it looks lovely! Going to go by tonight and have a drink. Yay for Forest Hill!